Adekunle Churchill the ex-husband of Nollywood actress Tonto Dikeh has warned her to stay away from him but admits that he still got love for her. The philanthropist and father of one who was reacting to comments made by his estranged wife after a fan prayed for both of them to get back together said on Snapchat that he carries no grudge against the mother of his son. He wrote; “I don’t carry any hate in my heart. If I loved you before, I still got love for you. Stay away from me though. 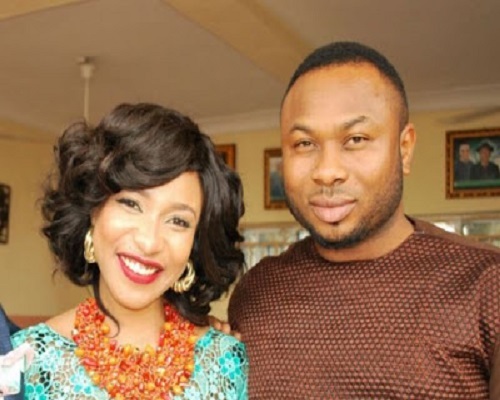 Before his reply, hot-headed Tonto Dikeh had vehemently rejected a prayer offered by a fan on Twitter for her to reconcile with Churchill. However, the prayer did not go down well with Tonto who quickly fired back in full caps saying; “MAY GOD FORBID SUCH A PRAYER IJN. “Thanks for the evil wishes, I know you intended well,” she added.